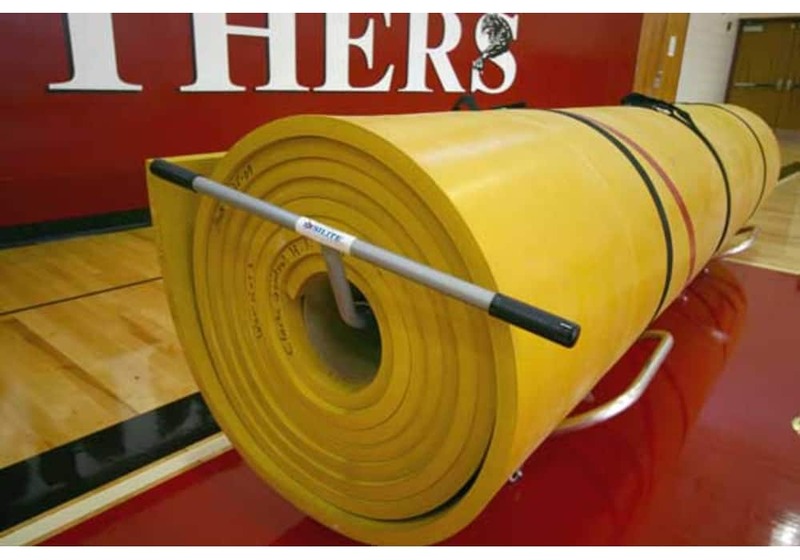 Our mat transporter is the perfect way to safely and easily move your wrestling mat! After using your wrestling mat, simply tilt this seven pound, aluminum, lightweight transporter under any rolled up mat section. A quick push and upright tilt, and the mat is ready to move on four heavy duty, non-marking casters. Comes pre-assembled and ready to use. Depending on the size of your wrestling mat (or the size of the mat sections), you may need multiple mat transporters. NOTE: This is for transporting and lifting mats, NOT for storing mats. Permanent damage of mats will result if used otherwise. Wrestling Mat Transporter - Dolly only. Lift bars not included. Dolly only. Lift bars not included. non-marking casters. Comes pre-assembled and ready to use. NOTE: This is for transporting and lifting mats, NOT for storing mats. Permanent damage of mats will result if used otherwise. Dolly only - Lift bars not included.